As it begins its fifth year of diverse concerts and lectures, the development of Portland Community College’s “Experience Music” Series (EMS) has gone hand-in-hand with the growth of the Rock Creek Campus Music Program. “For our small program, which basically did not exist eight years ago, to now be able to successfully produce a concert series of this caliber is something that I am very proud of,” said Jason Palmer, who is the program’s chair. 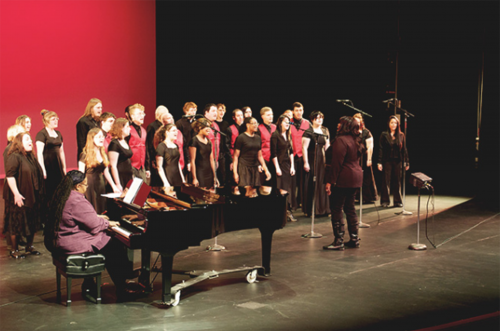 According to Palmer, the EMS was born out of a multi-pronged strategy to build a robust and well-regarded music program, from the ground-up, that would serve PCC students and the communities surrounding the campus. “When I arrived at PCC Rock Creek in the fall of 2011, we had one classroom, few music classes, no instruments, and my office was in a glorified closet,” he said. PCC offers music programs at the Sylvania and Rock Creek campuses, with some music classes also offered at other campuses and centers. At both Sylvania and Rock Creek, students have opportunities to develop skills as musicians, perform and participate, as well as build transfer credits to a four-year university. At Rock Creek, through a combination of additional course offerings, advertising, personal recruiting, festival and competition appearances, and hosting special events on campus, the Music Program has steadily increased enrollment and enhanced its resources. An increase in grant funding and support from campus leadership has allowed the series to add more dates and diverse acts to its schedules. 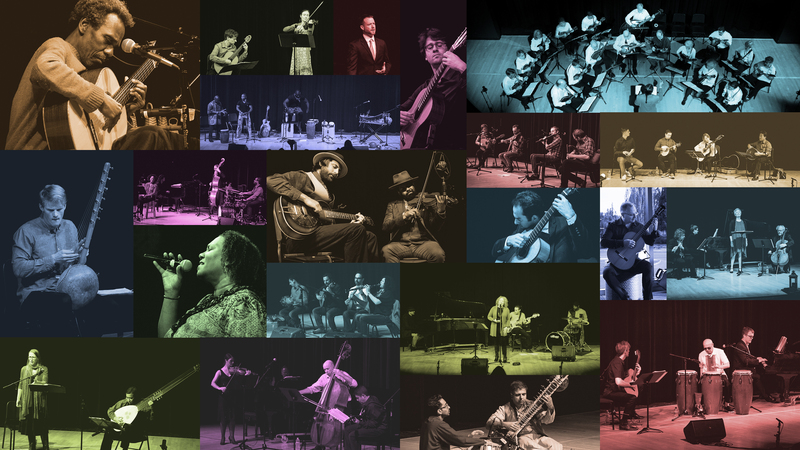 Its 2019 winter season kicks off Jan. 15 and features three concerts by nationally recognized performers as part of the Tuesday evening “Music Appreciation” class. What started simply as a way to create additional visibility and learning opportunities, the concert series has emerged as a well-regarded cultural gem, showcasing some of the area’s best classical, world, and historical music performers. 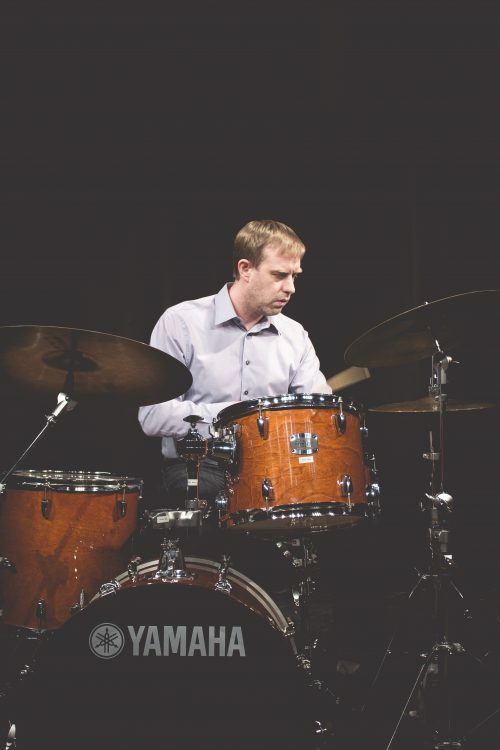 For Palmer, this exposure is not only critical to the student musician’s development, but also reflects PCC’s commitment to equity and creating opportunities that enrich all students. Palmer also said he hopes the growth of the music concert series will increasingly serve local residents as well, providing more convenient and affordable alternatives to Portland-centric music events, while also showcasing some of the resources available at the Rock Creek Campus. All events begin at 7:30 p.m. in The Forum, located in Building 3 (Rock Creek), and are open to the public (with an optional donation). Admission is free for PCC students. Parking is available on campus for $2. The Experience Music Series is sponsored by grants from the Beaverton Arts Program and the Cultural Coalition of Washington County. Renowned husband and wife opera singers Angela Niederloh and Matt Hayward will appear in concert, accompanied by pianist Janet Coleman, on Jan. 22. Niederloh, a mezzo soprano, has performed throughout the United States, including the Portland Opera, and teaches at PCC, Portland State University and Pacific University. Hayward, a baritone, is a former winner of the Gerard Souzay Grand Concours de Chant and has appeared in concert at the Salle Cortot in Paris. He is on the voice faculty of Portland State and George Fox. The duo co-founded the Vox Northwest Voice Studio in Portland and are well known throughout the Oregon music community. 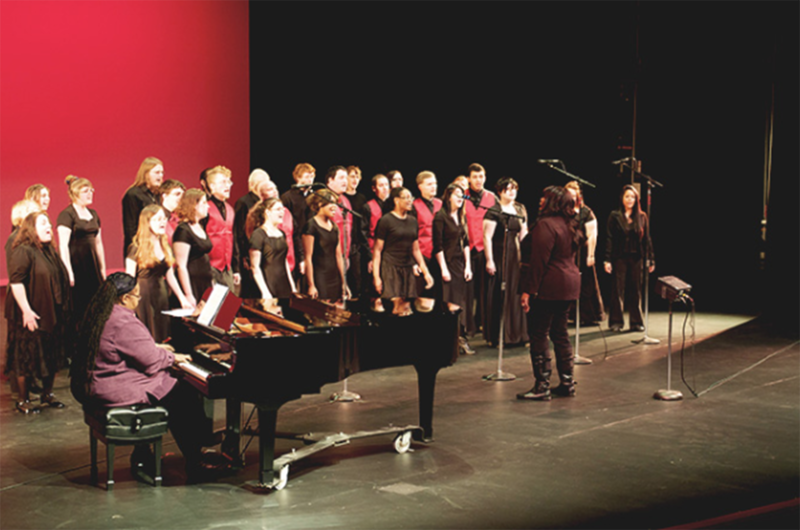 A master class, taught by Niederloh and featuring PCC vocal students, will be held the same day, also in The Forum, from 1:30-2:50 p.m., which the public is welcome to attend. From coffee house gigs at 15 to chart-topping success with the Tom Grant Band in the ‘90s to world tours with Diane Schuur and contemporary jam-bands, Dan Balmer brings fire and heart every time he plays the guitar. On Feb. 12, Balmer will perform music from his ninth album, “Not A, The.” His original works have appeared internationally in television, film and radio. Balmer will present a clinic on improvisation the same day from 3-4 p.m., also in The Forum, which the public is welcome to attend. For more information about the concerts, visit the Rock Creek Campus Music Program Facebook page.